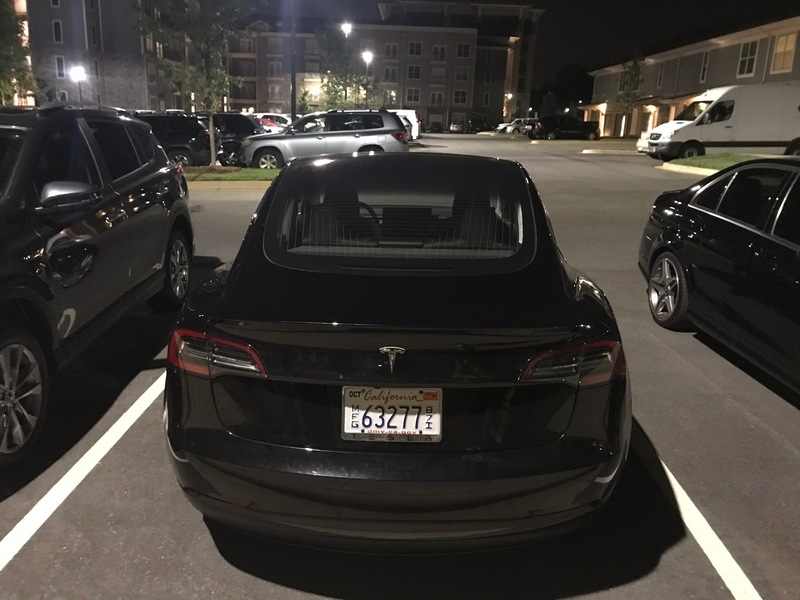 The real advantage of changing badging on Model 3 is not what you may think. Model 3 is now shipping! At the reveal event, one of the things we learned is that Tesla will not be badging Model 3 in the same way that they badge Model S and Model X. 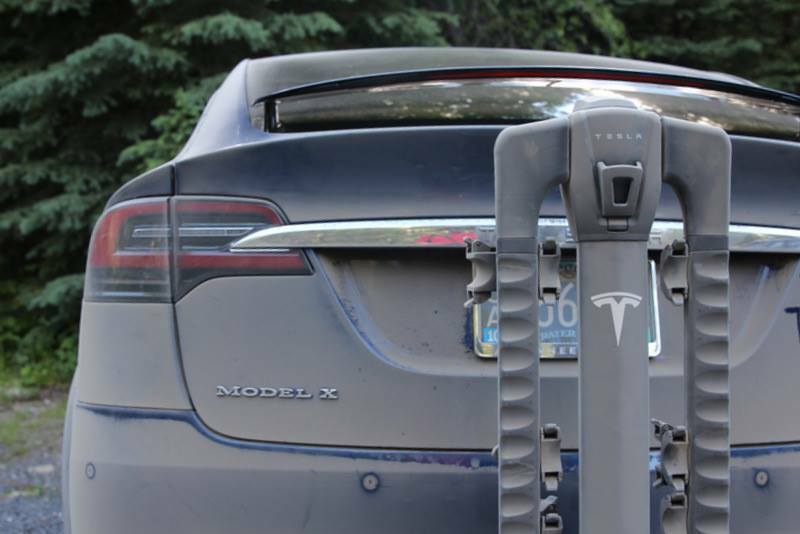 With Model S/X the battery pack capacity is clearly labeled on the back of the vehicle. For example, a P90D badge indicates that it is a performance vehicle (P), it has a 90kWh pack (90), and the D indicates that it has dual-motor all-wheel drive. If the badge is underlined, as in the image above, this additionally indicates that the vehicle has the ludicrous performance upgrade. Through their various incarnations over the years, Model S has had pack sizes of 40, 60, 70, 75, 85, 90, and 100 kWh. In some cases, these were software limited versions of larger capacity packs. 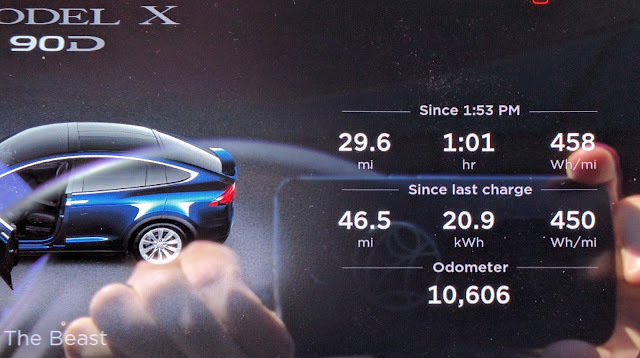 In the history of Model S, one of the things that you could count on was that the battery capacity in Tesla's vehicles would periodically increase as battery tech advanced. There are two battery pack options for Model 3: standard and long range. Edmunds reports here, that the long range pack is actually 80.5 kWh. When Elon Musk was asked about this in an investor call, he said it was "closer to 75." In that same call, Musk mentioned that standard range pack was "just over 50." I assumed that the car we were shown on July 28th would be the starting point for Model 3 and that it would have a similar march forward of battery capacity that we've seen with Model S. With this march forward, you'd need to be able to distinguish the various models with badging. To my surprise, Model 3 will not be badged with the pack capacity. Instead, Tesla will be referring to Model 3 variants by their range, rather than by their battery capacity. This makes sense from a messaging perspective. Engineers talk about kilowatt-hours, Joe and Jane car buyer talk about range. Moving to a mass market, it's important to simplify things; boil them down to what's important to the car-buying public. The only point of capacity is to provide range. Range is king. The simplified messaging is important, but there's another advantage (perhaps even the real reason) that the badging has been changed for Model 3. When the range is advertised instead of the capacity, improvements to the vehicle can be used to improve the profit margin on each vehicle, rather than increase the range. For example, say they make a small improvement to the inverter, motor, weight reduction, and/or aerodynamics for a 1% efficiency improvement. With this 1% improvement the car could have %1 more range. However, instead of the new models having 2 or 3 more miles of range, Tesla can reduce the pack capacity by a similar 1%. This will result in vehicles that have the same range advertised previously while the pack has a slightly smaller capacity. In the above example, the new vehicle will have a slightly higher MPGe rating and an equivalent range. If the pack size is what was advertised, then reducing the pack size would seem like a step-down, even if the range was identical. 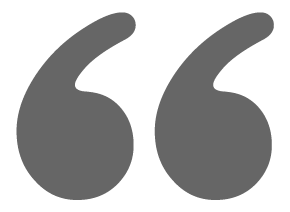 By keeping the capacity unadvertised, it's importance is deemphasized. "Range badging" allows Tesla turn efficiency into profit. For a mass market car, the margins are vital to the company's profitability. This system allows Tesla to turn efficiency improvements into margin improvements. Tesla has stated that they will have a 25% margin on Model 3 sometime in 1H 2018 after exiting "production hell" and reducing overtime pay. Musk went on to explain that they have an eventual 30% margin target for Model 3. Hitting this target would give Tesla the best gross margin in the auto-industry. Most mainstream automakers such as GM and Ford command blended margins of under 15%. Porsche is the industry leader with 26.9% gross margin. If range badging is the strategy that Tesla is taking, the days of hearing about a larger battery pack every other year or so are over. Model 3 will be sticking to the 220 and 310-mile range into the foreseeable future. Maybe in 2025, Tesla will add a super long range option. Today, there is only one variant of Model 3 for sale. Soon the standard range option will be out and soon after that the dual motor option and perhaps a performance version. When these other variants arrive, how will they be distinguished? Will the car have a PLRD badge? Or will this info only appear in the touchscreen rather than the rear of the car. When the standard range cars start shipping later this year, we'll find out. Tesla Model 3 Dual Motor - Is the wait too long? Like 400,000+ other people, we have a Tesla Model 3 reservation. And now we're excited to have an official delivery date estimate from Tesla. As you can see above there are three options for a delivery date window. One, if we select the initial configuration (long range, premium package), we could have our car this year. Two, if we want to save some money, we can receive the base model about 2 months later. And finally, if we want the dual motor all-wheel drive (AWD) vehicle, we can expect it to arrive in Q3 of next year. For clarification, we are day-one reservation holders, on the west coast, and current Tesla owners. This gives us a pretty good place in the queue. We are interested in the AWD, so my question is: if we wait for the dual motor option, will we receive the full federal tax incentive? The way the incentive works, the full incentive will remain in effect for 3 to 6 months after Tesla sells their 200,000th car in the US. If Tesla sells their 200,000th US vehicle in Q1 of 2018, then the incentive will be halved on July 1st, 2018. This means that the AWD vehicle will effectively cost us $3750 more (half the US federal incentive). If, however, the 200,000th vehicle is sold on or after April Fools' Day 2018, then we'll qualify for the full incentive. So, waiting for AWD is a $3750 gamble. For us, it is more important to have the vehicle that meets our driving needs than to qualify for an incentive. So we're planning to wait for the dual motor vehicle and let the incentive chips fall where they may. That said, I'll continue to watch Tesla's vehicle sales and attempt to project the 200,000th US sale. It is possible that as the 200,000th sale is approaching, Tesla will stockpile vehicles for delivery. If they do, they'll impact their revenue for that quarter, but they'll quickly make it up in the following quarter and they'll have many more happy customers. This is the first summer that I've owned a Tesla. Our Model X 90D arrived in October and we've put about 12,000 miles on it since then. To put this into perspective, most years I only drive about 8,000 miles. This vehicle is a lot of fun and we've been using it to explore our home state. 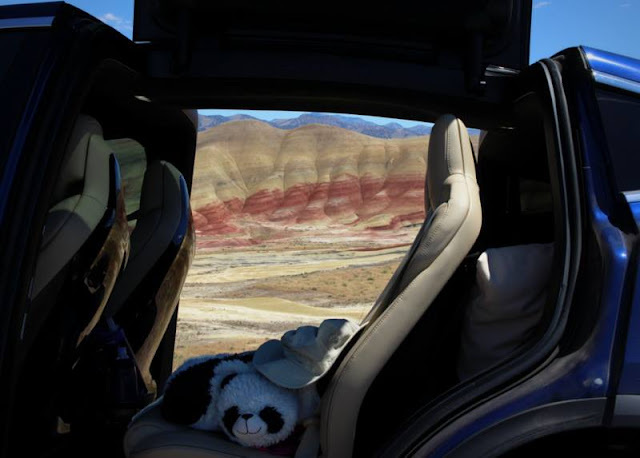 Our first family vacation trip was to eastern Oregon to see the Painted Hills. 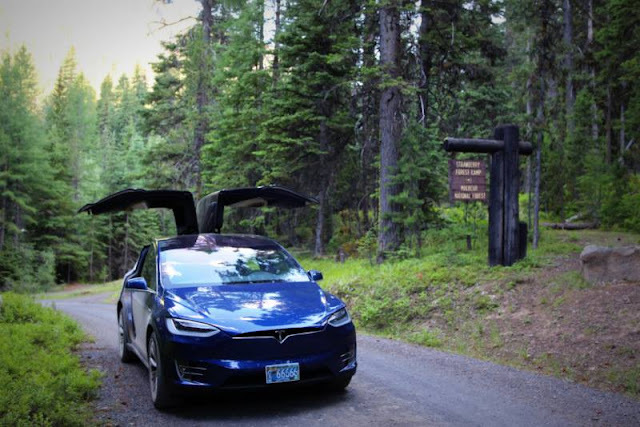 We found lodging in Prairie City that has Tesla destination charging (and charging for other EVs too). 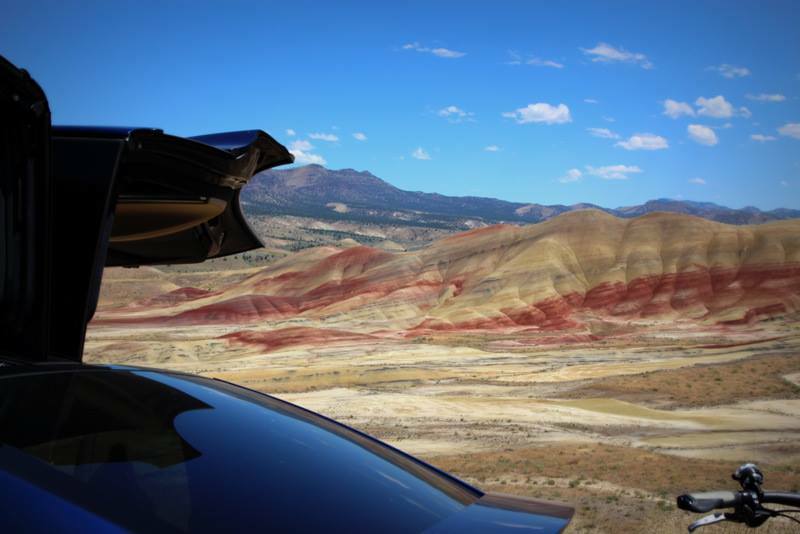 It was not too far from the Painted Hills, and it had nearby bike paths and hiking. The trip planner said that we could make it to Prairie City with just a single charging stop in The Dalles. I was less certain. 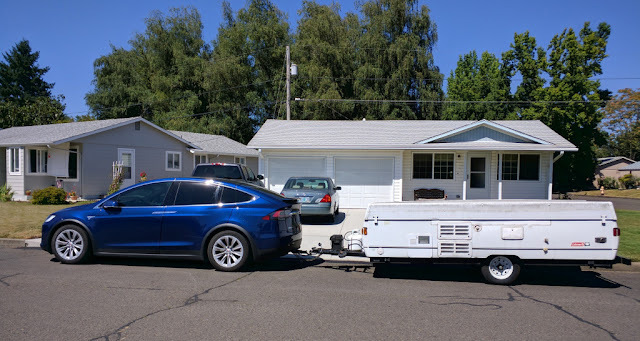 We had our CHAdeMO adapter and connectors to plug into RV campgrounds if things didn't go as planned. I decided to play it safe and head to Pendleton instead. This allowed us to arrive with more charge remaining. If there were any issues with the destination charging, we'd still have enough charge for our next day's plans. It added some time to the drive, but better safe than sorry. The trip was an easy drive. We stopped in The Dalles for a late lunch while we charged. 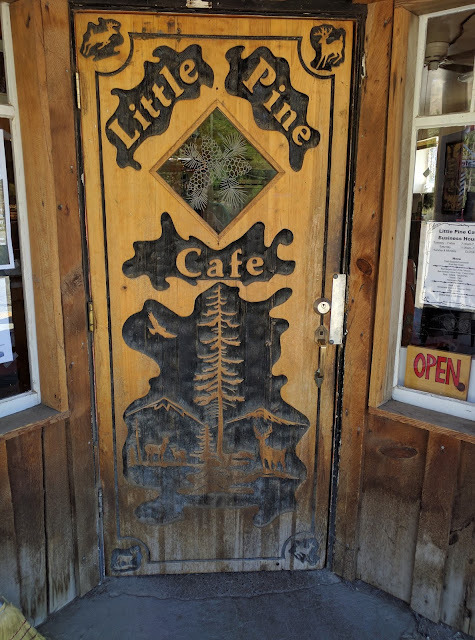 We headed to Pendleton and had a bathroom break and a drink while we charged. 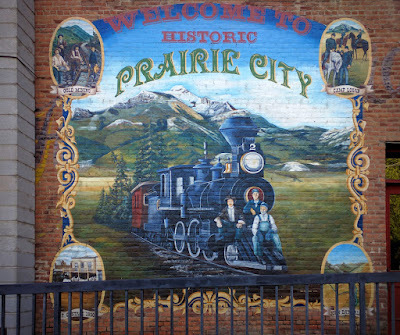 That evening, two thousand dead bugs and 360 miles later, we arrived in Prairie City. We checked in, plugged into the destination charger, and made our way to our room. The next day we were charged up and after breakfast, we headed to the Painted Hills. The hills were great, a part of nature that's a rare sight. I'll spare you the description of the cause, if you're interested, feel free to google it. From here we went to the Little Pine Cafe in the town of Mitch. As we parked and my daughter opened the falcon wing door to get out, one of the locals asked if our car was a Dodge. I told him it was a Tesla, to which he replied, "That's the future right there." We stopped at the nearby fossil museum and learned a few things about the massive weather pattern changes to the region over the eons. The next day we explored Prairie City and John Day on foot and bike. The visitors center in John Day has level 2 charging with places to explore and eat nearby. It was a dusty drive. From the parking area, it's a hike to the lake. The next day we packed up to head home, we were fully charged thanks to the destination charging at the hotel. This time, I was confident that the navigation system was correct and that we'd make it to The Dalles on a single charge. The bikes on the rack on the back mean that it is not accurate and I would just need to have a little buffer, but the nav system said that we'd have more than 30 miles left when we arrived. You can always stretch the range a little by slowing down a little if needed. So we headed north. Going home we passed through the town of Fossil, Oregon. 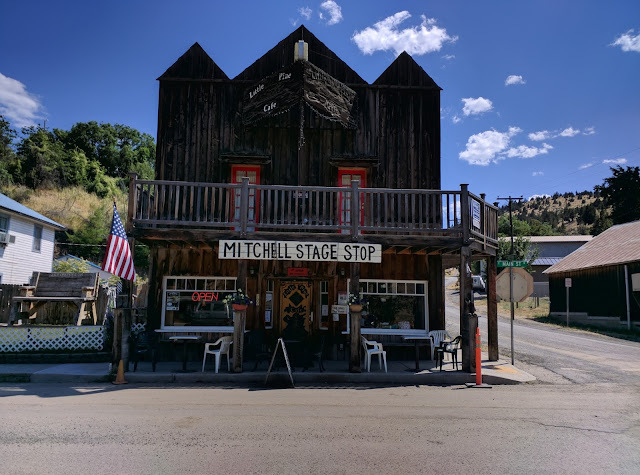 The town's name has nothing to do with fossil fuels, but I quipped that they'll need to change their name to Renewable, Oregon if they want to survive. 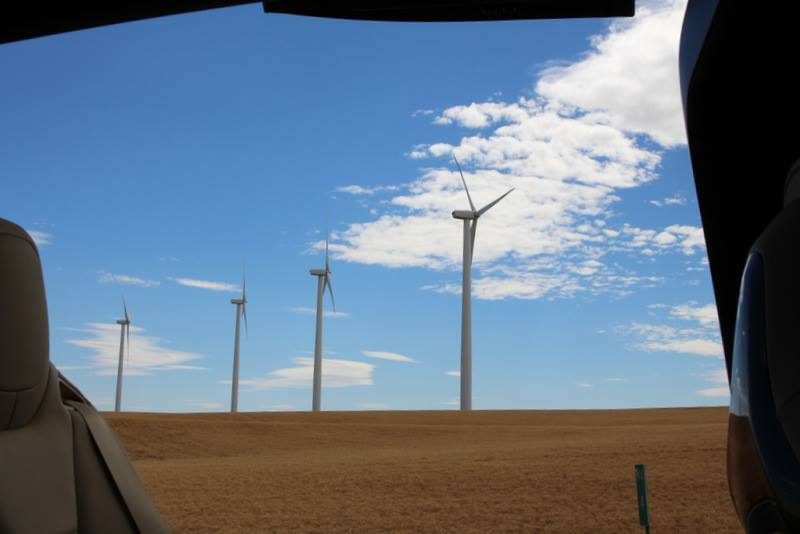 Speaking of renewable energy, on the drive back we passed through the Biglow Canyon Wind Farm, as you can see below. We made it to The Dalles with about 20 miles of range left. From there, after lunch and some charging, it was an easy drive home. In part two we'll head to Crater Lake. Yesterday I moved my camper to a new storage facility. 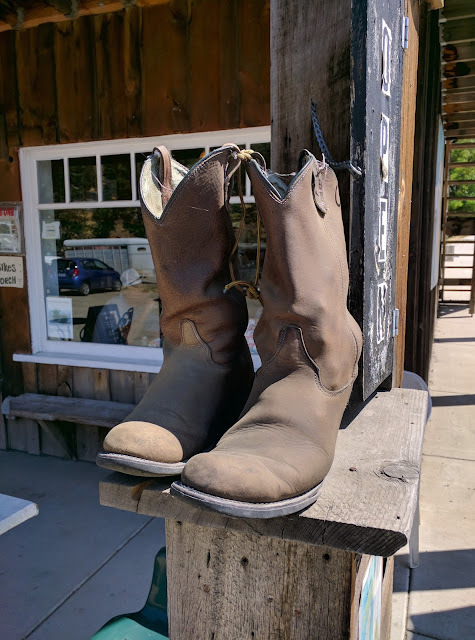 The trip was only about 45 miles and mostly on Interstate 5. 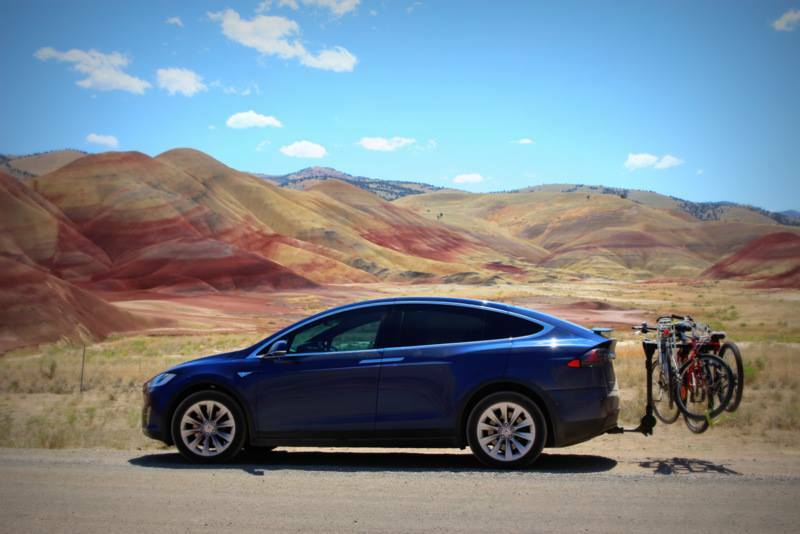 This gave me a chance to see the range impact of towing on the Tesla Model X. 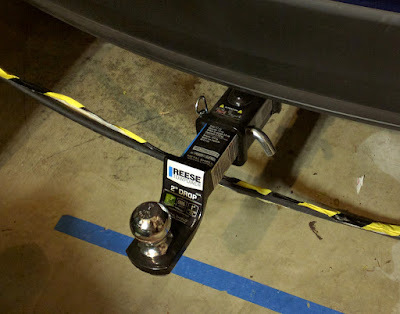 Before connecting the camper, I had to go buy a trailer ball mount and ball. The Tesla tow package only comes with a hitch receiver, not the complete tow kit. This is standard in the industry since they don't know what you may be towing and what type of tow kit you'd need. Perhaps you are just getting this for a bike rack and the receiver is all that you need. Here is the installed tow ball. Now the part of the story that you've been waiting for: How much did this impact the range? Here is the energy data from the Tesla when we finished the trip. Let's unpack this a little. I usually see around 335 Wh/mi, so 458 is a 27% increase in "fuel" consumption compared to my typical driving. Using just quick math, at 458 Wh/mile with a 90 kWh pack (85.8 usable in the 90D) results in 187 miles of range. Compared to the 257 miles of range rated by the EPA, this is a 27% reduction in range. A 27% reduction in rated range is not bad, I was expecting a ~40% reduction. To be clear, this was not an EPA range test, it was one short drive on a mostly flat part of I-5. I may not even get the same results if I were to reverse the trip, but it is one example that can give you a good idea of the scope of the range impact. 187 miles is plenty of range for the places where I typically camp and if it is farther, there are Superchargers to extend the range (although this may be complicated with the camper attached). Also, assuming there is service where we're camping, I'll be able to use an RV outlet (NEMA 14-50) as a "destination charger" to recharge the car overnight. Before signing off, here are three misc. things I learned on while towing for the first time in the X. One, the car automatically switches into tow mode when it detects something plugged into the 7-pin outlet used to control the trailer lights and braking. 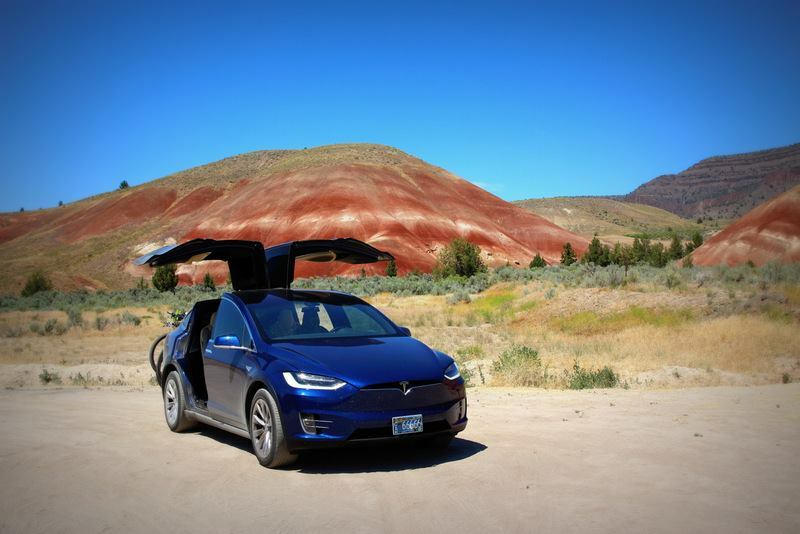 Two, when the X is in tow mode, Autopilot is not available to be enabled. You have to actually drive yourself when you are towing (#FWP). Third, our X has smart air suspension and it adjusts the suspension height as you drive and it also undoes this adjustment after you have been stopped for a few minutes. We were unhooking the trailer when the car decided to lift up a couple inches. This was annoying and a little dangerous as I was unhooking the camper at the time. Stay safe, have fun, charge on. 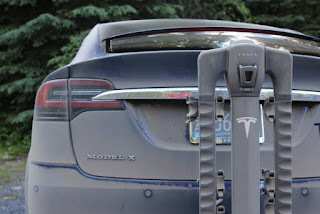 UPDATE: I was informed by a reader that the tow kit shown above has a 2" drop and that is not recommended by Tesla. According to the reader, the ball can be straight or have up to a 3/4" rise. Luckily, the mount kit shown above is reversible and when reversed, it goes from a 2" drop to a 3/4" rise. I have now moved the ball and flipped it over. Next time I pull the camper, the trailer tongue will be 2 and 3/4" higher.